Welcome to Live Top Notch! It is so nice to virtually meet you! We are Johnny & Bethany Gonzalez, just two ordinary people extremely passionate about health, wellness, and Keto! We both grew up in the beautiful Black Hills of Rapid City, SD. We met when we were in 5th grade and have loved each other ever since! Our mutual stubbornness prevented us from dating until we were 23 years old, and when we finally gave into our fate and started dating, we married just 3 months later. We decided to be married on 12/21/12, which was supposedly the “end of the world,” so we felt the need to tie the knot … just in case. We have been inseparable ever since. We literally do everything together, including working all day from home as a team. We wouldn’t have it any other way. We feel extremely blessed to be able to love what we do and do what we love. Since being married, we have made it our life goals to commit to being healthy and to help others achieve their best selves. This means physical, mental, and spiritual health. All of those roads on our personal journey together have led us to Keto. Although you may not see it now, in the past, we have both struggled with very serious health issues, which drive our passion even more. When we first got married, Bethany had a debilitating auto-immune disease that crippled her in more ways than one. She suffered from a rare form of Guillain Barre Syndrome that caused her to have no motor or sensory function in her lower legs, preventing her from walking without assistance. This was accompanied by a multitude of other symptoms, including a poor diet and an unhealthy relationship with food. As for Johnny, he had some of the worst allergies our doctor had ever seen (both environmental & food), along with SIBO, Candida overgrowth, unexplainable throat and mouth ulcers, etc. Obviously, we were an auto-immune match made in heaven. Or you might say, a giant hot mess. Along with our commitment to each other, we made the commitment to doing everything we could to improving our overall health. After spending thousands and thousands (and more thousands!) of dollars on traditional medicine and treatments, we realized we needed to take a different route. We needed to heal ourselves naturally, through our diet and by taking our health into our own hands. While traditional medicine called for long-term corticosteroids, pain medications, and other prescriptions for both of us(that treat one symptom but can cause several others), we decided that was not our path. We wanted to take a holistic, whole foods approach. We tried at least 10 different diets, some very extreme and unrealistic. We’ve both experienced a great amount of healing through food, but still continue on this journey towards optimal health. It wasn’t until we found the Ketogenic Diet that we felt we were no longer on a “Diet.” Most of the other diets we tried came from such a feeling of restriction where we were constantly thinking about food, what we were going to eat next, and wincing about the foods we could no longer eat. The Keto Diet has really given us the freedom from dieting again. Keto it has simply become our way of life, not just a diet challenge seeing how long we can make it until we break it. The benefits of a Keto Diet go so far beyond weight loss. Neither of us can ever remember feeling this good. With the mental clarity, sustained energy, lack of mood swings, and zero crazy cravings, we can really focus on living our lives, rather than being shackled by food. The Keto Diet has proven to make incredible improvements in all areas of our lives, which has driven us to do so much more than just personally adopt this lifestyle.. We realized that the people we talked to about the Keto Diet didn’t know very much about it. Keto has done so much for us, that we felt like we needed to share it with as many people as we could. The Keto Diet is not new. It’s been around for years & years. It has just been picking up steam over the past few years. 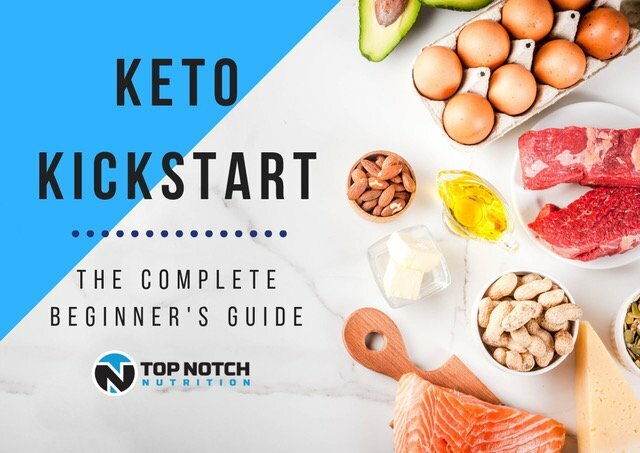 We realized there was a need for information and education about Keto. That is why we made the decision to dedicate our lives to working solely on creating a Keto Community, writing guides to the Keto Diet, designing Keto swag, creating and making recipes, formulating supplements, salsa dancing, and sharing this amazing lifestylewith others. We have already helped thousands of people improve their lives by going Keto, and we’re not stopping there. We want to continue to help others with their Ketogenic Lifestyles, so we have partnered with some of the most amazing doctors, chemists, and scientists out there to literally make magic. We are so grateful that we get to be a small part of your journey!